P.S. Cafe is one of those places that you’re supposed to hate. It’s pretentious, it’s expensive, it’s full of expatriates and you always feel slightly uncool when you’re there. But the thing is – I don’t hate it. In fact I kinda love it. Why? 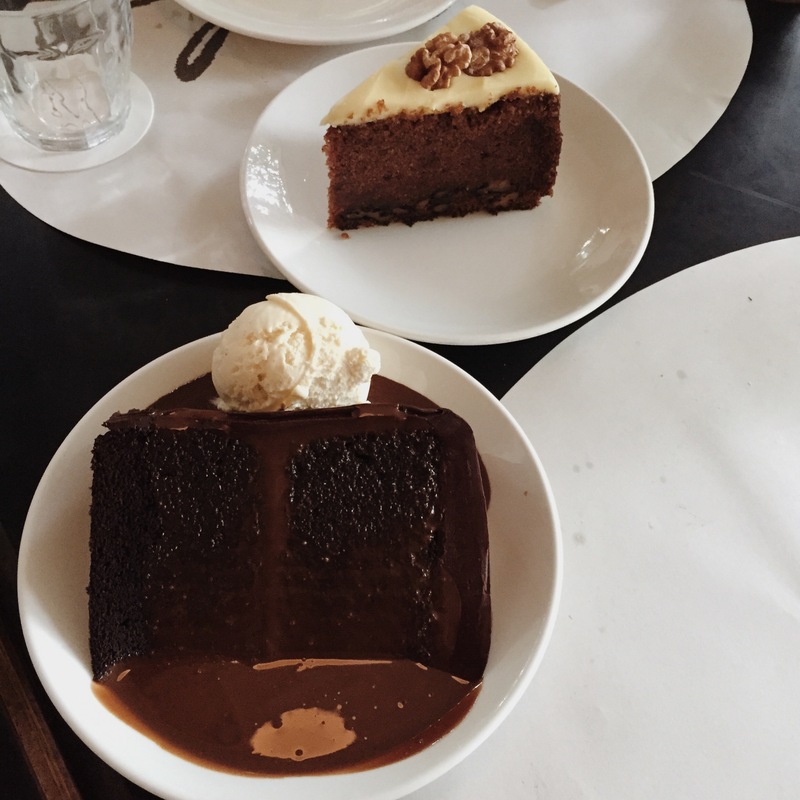 Because the food is good, you always feel like it’s a special experience when you’re there and the cakes. P.S. Cafe at Harding Road is arguable the P.S. Cafe. Forget Ann Siang, forget the teeny-tiny Paragon branch and puhlease, those P.S. Petit branches seriously don’t count. Harding Road is where it’s at. This is because this branch sits in the cocooned enclave of Dempsey chi-chi/atas restaurants. Where wearing billowy chic caftans and acting super casual about paying SGD8 for a coffee is necessary to fit in. So obviously when I visited I was totally at home in my New Look distressed jeans and flea market black t-shirt. TOTES. I visited P.S. Cafe on a bustling Wednesday for lunch. It was PACKED. Don’t people have jobs? The first thing they tell you to order at P.S. Cafe are the truffle fries. So of course my table ordered truffle fries. I don’t even like thin fries but these are great. The truffle scent was aromatic and yummy and the parmesan shavings just amp the whole experience up. 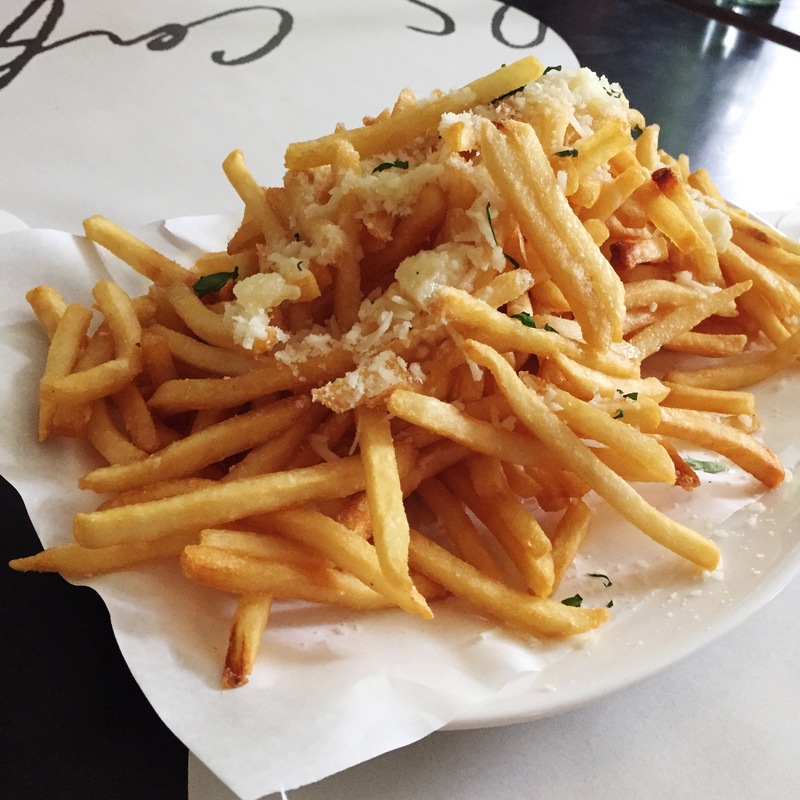 Definitely order the truffle fries. For the main course my boss and I shared the Spicy King Prawn Aglio Olio and the Chargrilled Portobello Salad (not pictured). The salad was dense and interesting, a sweeter dressing than I usually like but it worked. 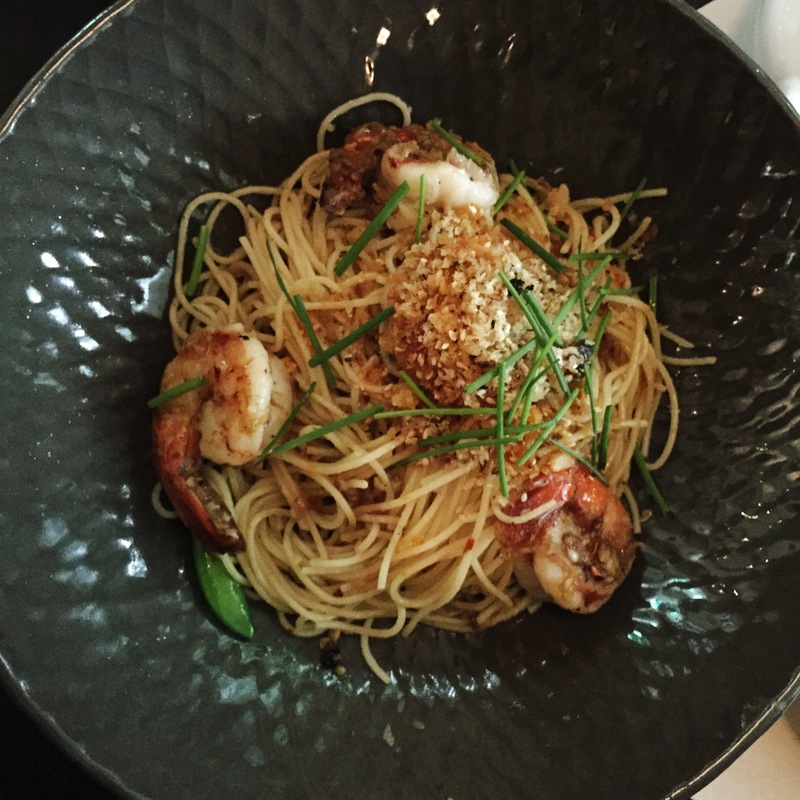 The Pasta was classic fusion – mamak mee/pad thai pretending to be fancy – but who cares when it’s actually good? And then the cakes… oh the cakes. Please excuse how hideous the picture is above. But that cake, oh god that blackout cake. You eat it and it hits you and then you just keep going. It’s intense. The carrot cake and key lime pie (not pictured) were good but that chocolate cake was something else. It’s like a high class version of the Celine from Nickels (Canada shoutout, skip if you’ve never been there). But, but, but the best was the pudding we ordered right at the very end. 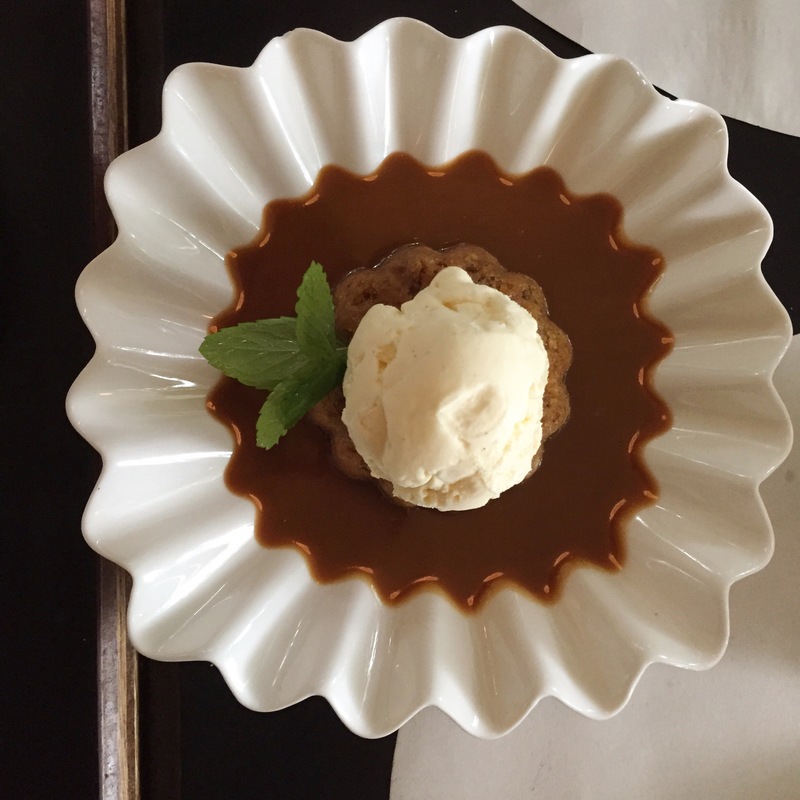 The sticky date pudding was ooey, gooey and three shades shy of being an Indian dessert. It was basically perfect. Mmm. The seven of us paid SGD470. Like I said, it’s expensive but we ate well and I’m pretty sure all of us loved it. Stop hating and embrace the atas-ness. It’s delicious.